Jalandhar: An M Pharmacy student of the School of Pharmaceutical Sciences of Lovely Professional University, Nitika Kaushal presented a research poster in Montreal, Canada, at 19th annual International meeting of International Society of Pharmacoeconomics and Research (ISPOR). Nitika was specially invited by ISPOR to elaborate her research on “Exaggerated Expiration Dates of Pharmaceuticals Enhancing Economic Burden on Health care system of a country”. This research focuses on the unnecessary discarding of the drugs which usually remain safe and useful. Nitika proved that a large number of completely potent drugs are discarded because of the early expiry dates on the labels, thus incurring huge wastage of national resources. 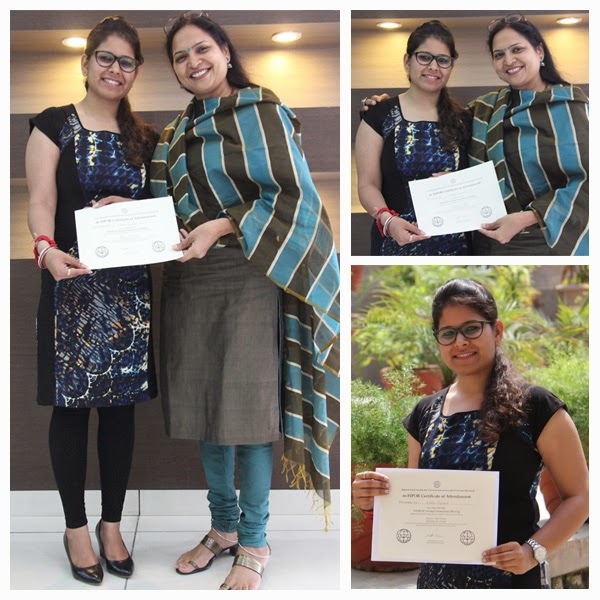 Nitika’s research was highly appreciated by the experts who are working in the area of health care economics. In fact, ISPOR invites experts from different countries during their annual meeting to explore their ideas for the global health care of community. On asking why the reincarnation of an expired drug is required, Nitika explained: “Medicines are usually found with full potency even after 5 years or more of their expiry dates. However, approximately 7 tons of medicines are torched/ discarded every year. Relevant studies tell that many billions of rupees can be saved every year by reincarnation of such expired medicines. So it is not justified to dump the expired medicines which are still potent and safe, particularly for much populated and underdeveloped Asian countries. Moreover this all needs simple fulfillment of regulatory requirements.” She also added that this revival of so called expired medicines will not only scale down the requirement of fresh batches of costly drugs but also benefit the needy society. With this research, LPU School of Pharmaceutical Sciences intends to bring awareness about such medicines to help patients. Such an initiative was also started In the USA in 1986 to test discarded drugs for their efficacy and safety. The financial benefits were calculated and depending on the data, re-labelling of the medicines was ordered. Presentation by Nitika at the international forum is the first step of LPU School of Pharmaceutical Sciences in this direction. I have a site pharmacy personal statement example for all medical students. By following this site they'll be able to write impressive personal statement about pharmacy. I helped his brother to look for a site where you can buy research paper. I found this site's http://writing2me.com/catalog/service/research-paper/. Here is my brother bought a good job and was satisfied. Thanks for sharing. Here is another interesting source to consider. I lately wrote this article about this topic and an essay contributed me to the great results outcomes buy essay online that is like!. I 'd like to read more posts that are such. Congratulations! I'm very happy that her research paper made such a great success! However, not every person is keen on writing, and for those ones there are lots of custom writers who may assist you with this issue. I am very happy for Nitika. She did such a good job. I always need Essay writing tips to write my paper because I just cannot write it. Science forges ahead and that's awesome. Also, the fact that students are involved in this process makes me happy. Such people, open-minded and fearless, lead us to the modernization of medicine. They open us new ways of treatment, for instance, medical marijuana (I read about it here https://www.marijuanabreak.com/medical-marijuana-card-oklahoma). We must develop despite the reactionary mind of society.